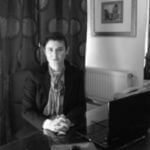 Dr Eleni Maria Papadopoulou has studied at University of Piraeus, where she received an undergraduate degree in Maritime Studies and a postgraduate degree in Business Administration – Total Quality. She received her doctoral degree in Logistics and Supply Chain at the University of Macedonia. Her work has been published in International Journals, book chapters, as well as in proceedings of International Conferences. She has been teaching at CITY College, The International Faculty of University of Sheffield since 2013. She has been teaching the units of “Total Quality Management” and “Supply Chain” at the Alexander Technological Educational Institute of Thessaloniki (Department of Logistics) since 2008, as a part – time lecturer. She taught the unit of “Supply Chain Management” at the Technological Educational Institute of Kavala (Department of Business Administration and Department of Information Management) in 2012. She has been also teaching the units of “Management of Shipping Operations” and “Total Quality Management” at Mediterranean College, in Executive Diploma courses, supported by the London Centre of Management, UK. Dr Papadopoulou has also been involved in training business seminars for Centres of Continuing Education and consulting companies. Besides her academic experience, Dr Papadopoulou has been working in the field of Shipping and Logistics since 2005, either occupied in various logistics corporations or as a freelancer undertaking the management and execution of business projects on supply chain.